The Everest Base Camp Trekking is a popular and fantastic trip in the Himalayan land of Sherpa. 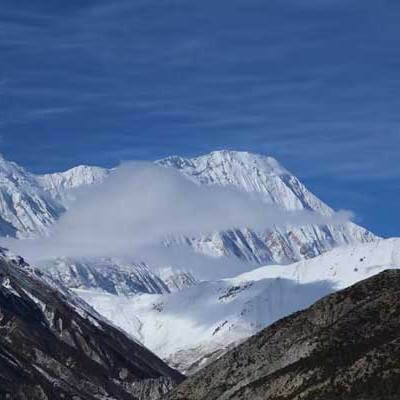 It rewards the trekkers with spectacular Himalayan views, surprising landscape, Sherpa lifestyle, Buddhist culture and traditions along with Himalayan Flora and Fauna in the Sagarmatha National Park. The trip leads to the base of the highest peak in the world- Mt. Everest. 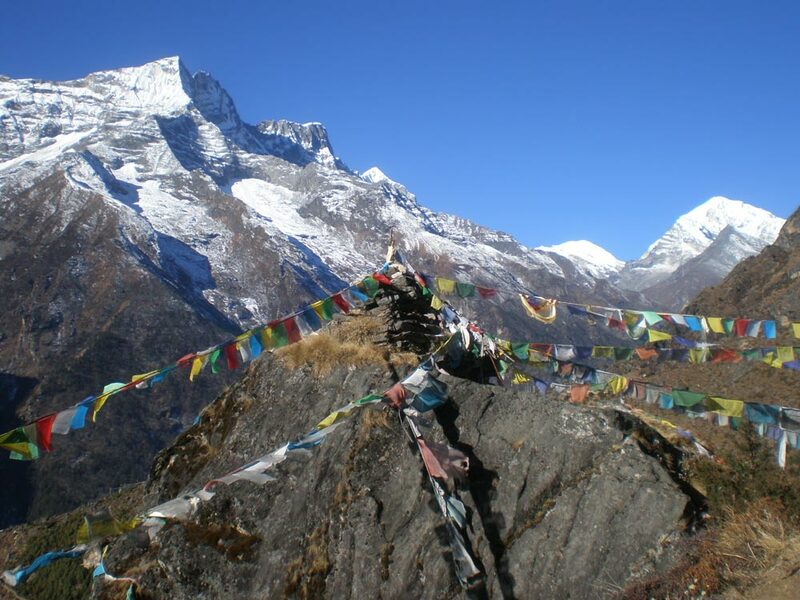 This scenic trip is regarded as one of the best trekking in the world. The breathtaking views of Mt. 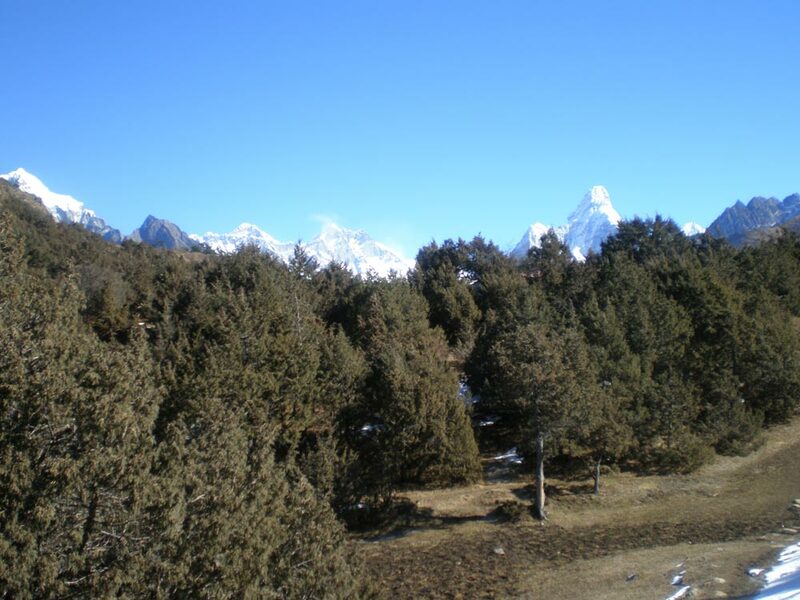 Ama Dablam, Nuptse, Lhoste, Mhera and other Peaks have added the charm in this trekking. It is a well loved Himalayan journey to the Everest base camp for its multiple dimensions. When the trek reach to the Namche Bazaar, the splendid views of Himalayan range becomes closer and crystal clear. The trip becomes more attractive after a hike to the Everest view Hotel and the local community. It brings the trekkers closer to the culture and lifestyles of ethnic Sherpa groups. It is a quite tough climb when the trail enters into higher elevation. Trekkers must have sufficient acclimatization to get rid of high altitude sickness. Himalayan fauna like Thar are seen on the opposite side of the trekking trail. It is more adventurous to walk over the glaciers. After reaching the Gorakshep, trekkers hike to the base camp, which is the final point of the trip. Kalapatthar, after an early morning hike, is a good view point of sunrise over the Tibetan Himalayan range. The Sagarmatha National Park spread up to the top of the world. It has sheltered several species of Himalayan flora and fauna. Himalayan Thars, musk deer and Nepals national bird, the Impeyan Pheasants, Red-billed chough, Blood pheasant and Yellow-billed chough is the fauna found there. The vegetations are Pine, Hemlock, Fir, Juniper, Birch, Rhododendron and shrubs. These various dimensions have contributed to make the Everest base camp trekking package outstanding. The trek to Everest Base Camp begins from Lukla, a gateway of the most of the trekking in the Everest region, after a short and scenic Himalayan flight. Then it continues through the beautiful settlement of Namche Bazaar, Tengboche, Gorakshep, base camp, Kalapatthar and retrace all the way to Lukla. 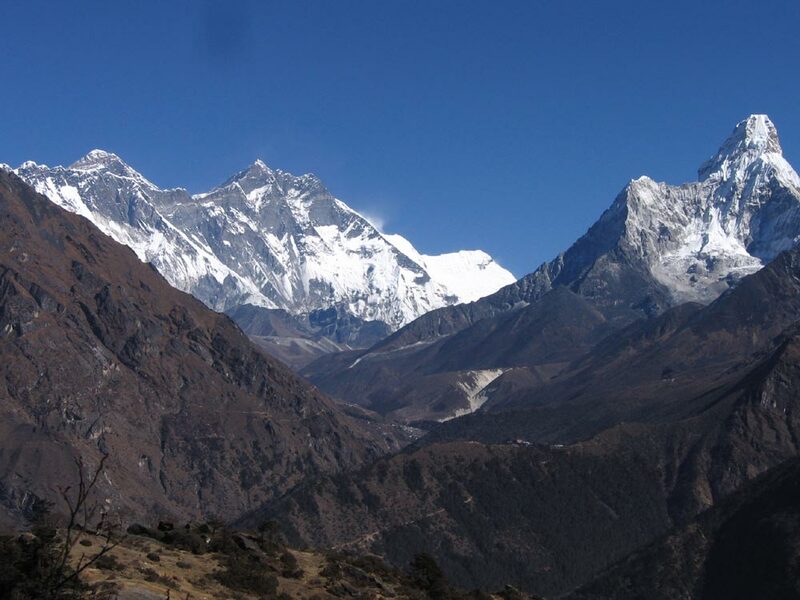 Spring and autumn are the best trekking seasons in the Everest region, which is also known as the Khumbu region. Please, contact us for Everest Base Camp Trekking information. Namche Bazaar is a beautiful Himalayan settlement. Explore the artistic Tengboche Monastery. 2Day 2: Personal Day, or sightseeing tour of Kathmandu Valley. 3Day 3: Fly to Lukla (2800m) and trek to Phakding (2652m). 3 - 4 hrs walk. 5Day 5: Rest Day at Namche Bazaar. 7Day 7: Trek to Dingboche (4360m). 5 - 6 hrs walk. 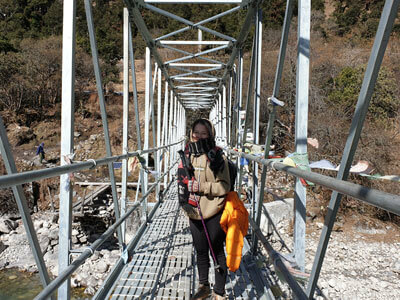 8Day 8: Acclimatization at Dingboche. 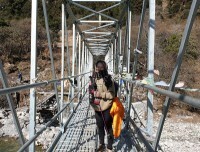 10Day 10: Trek to Gorak Shep (5170m) - Everest Base Camp (5364m) and retrace Gorak Shep. 8 - 9 hrs walk. 11Day 11: KalaPatthar sunrise hike and trek down to Pheriche (4280m). 5- 6 hrs walk. 13Day 13: Trek down to Lukla (2800m). 6 - 8 hrs walk. 14Day 14: Fly Back to Kathmandu. 15Day 15: Transfer to International Airport. All Airport and Hotel transfers with private vehicles. Kathmandu valley sightseeing by private Vehicles. Both way (Round Trip) flight fare KTM –Lukla-- KTM and domestic airport taxes in Kathmandu and Lukla. Drop and pick up to Nepali restaurant. (But it can be customized according to your requirement). Everest Base camp Trekking (11Ns): Best Available Lodge Accommodation during treks on twin sharing basis room. There are multiple selections in meals item in Everest region trekking. But, it can be basic and may not have choices in menu some of the rest places. Trekking Guide leader in mountains. 1 Sherpa potter for 2 trekkers in mountain. Best Lodge Accommodations Mountain , all meals during trekking, all necessary staff with experienced leader (guide) and Sherpa porters to carry luggage (2 trekkers: 1 porter) including their salary, insurance, equipment, flight, food and lodging. All the applicable services charges, government taxes, all necessary paper work and permits (National park permit, TIMS card). Good Vibe Adventure’s t-shirt, Down Jacket, sleeping bag and trekking map (down jacket and sleeping bag are to be returned after trip completion). Good Vibe Adventure offers you Farewell Dinner on last night. Entry fees for city sightseeing. Travel and rescue insurance (necessary). Lunch and Dinner while you are in Kathmandu city. 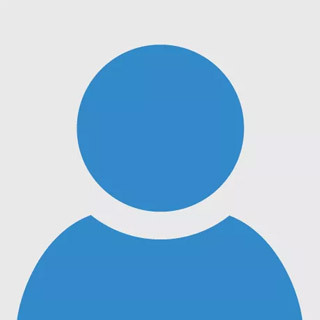 Personal expenses (phone calls, internet, laundry, bar bills, bottle or boiled water & Hot Drinks Tea and Coffee, Hot Shower, Batteries charge, Heater during the Trek and Sweet things ). Extra night accommodation and meals if early departure from mountain. Tips for the guide, porter. (Tipping is voluntary). est service, Kisan is an hppestest and re6liable manager, this is second time we are working together, best service. Guide Ram is also a very good person, without him we cannot finish whole trip, thanks again for Good vibe Adventure service. Hope next time we have chance to play together! Kisan did a great job organizing our Everest Base Camp trek. He was very friendly and professional. Our guide on the trek was also helpful, friendly and knowledgeable. We highly recommend Good Vibe Adventure if you are looking to do some treks in Nepal. According to your arrival itinerary in Nepal, Good Vibe Adventure welcomes you at the entry point or at the airport and takes you to the hotel. We also brief you in short about the programs. Private Tourist vehicle to airport drop and pick up/ round flight trip KTM - LUKLA - KTM. We provide Standard breakfast in Kathmandu. During the trekking, we provide breakfast and dinner at the lodge and lunch on the trekking trail. We recommend you to bring water purification pills, but you have options of buying bottled water or boiled water as well. We offer 2-3 star Hotel Accommodation in Kathmandu but it can be customized according to your request. And best available lodge in the trekking. Lodges with basic facilities are available in Everest Base Camp trekking. During the trekking, your bag pack will be carried by the porter and you can use your belongings at your desired time. You can just carry a day pack with water bottle, camera, sun-screen, spare jacket, etc. Except the necessary things, you can deposit your belongings to the hotels locker. Despite some areas, there is network coverage of mobile phone in almost the places. The landline phones are also available for the communication. Electricity or solar powers are available for the mobile charge. It is better to have a spare battery. It is better to consult with your doctor before going to the Everest Base Camp Trekking. Acute Mountain Sickness (AMS)/ High Altitude Sickness can occur during the trekking so proper acclimatization is needed. Please, take your required medicine with you. Insurance help you to get a quick rescue and the medical expenses. It is an expensive operation from the higher altitude in helicopter. It cuts your economic burden if some accidents happen. Insurance should be done by you. 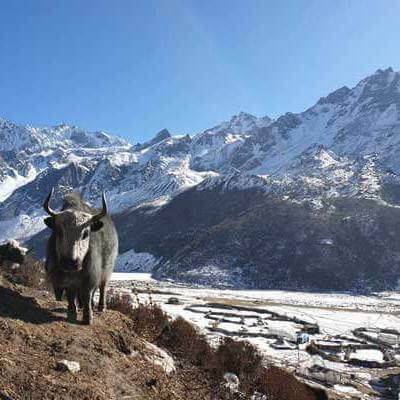 Autumn and spring are the best seasons for Everest Base Camp Trekking. Days are warm and nights are chilling. Mornings are usually clear and fine weather. It can be cloudy around the afternoon and evening. The winter season is more challenging due to the heavy snow fall. 20% payment should be paid in advance while you book the trip. It should include Passport copy and flight detail. The rest of 80% payment is payable at your arrival in Nepal. You can pay by your credit card and deposit into the bank account of Good Vibe Adventure from your country and can pay cash after your arrival. In addition of Everest Base Camp Treks, we can also extend the trip to jungle safari, Lumbini Tour, Nepal Tour, Rafting along with tour activities in Tibet and Bhutan. Please, let us know earlier if you want to extent your trip either inside Nepal or outside of it according to your time management.